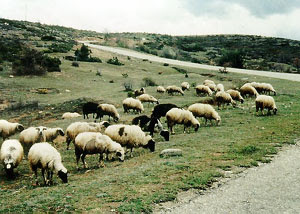 Similar to the entire region, except the coastal parts, the climate in Kosovo is continental. Much of Kosovo's terrain is rugged, and its mountainous area, including the highest peak Đeravica, at 2656 m above sea level, is located in the south-west, bordering Albania and Montenegro.The mountain range dividing Kosovo from Albania is known in English as the "Cursed Mountains" or as the Dinaric Alps. The Kopaonik Mountain is located in the north, bordering Central Serbia, although all of its ski resorts and other tourist destinations are outside Kosovo. 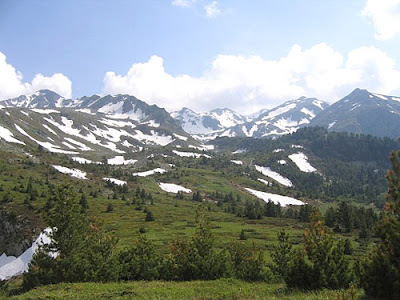 The central region of Drenica, Crnoljevo and the eastern part of Kosovo, known as Goljak, are mainly hilly areas. The Šar Mountains are located in the south and south-east, bordering Macedonia. This is one of the region's most popular tourist and skiing resorts, with Brezovica and Prevalac as the main tourist centers. I have never been to Šar, but it is supposed to be very picturesque and beautiful; its untouched landscape is covered by glacial lakes, pine forests and very small villages, populated by sheep herders. A big part of the mountain (39.000 hectares) was declared a national park in 1986, with the purpose of protecting more than 147 butterfly species, and around 200 birds. Although some locations are promoted as skiing resources, many of those are poorly managed and maintained. I believe that only Kopaonik has a developed center suitable for ski tourism, and that you should skip all others. On the other hand, if you are interested in hiking, camping and love nature, these places, especially the Šar Mountain are a perfect destination for you. Never knew that the area was that fantastic. Nice Blog, I have been reading your articles about the grape fountain. That is a neat looking fountain. and it was a fantastic experience.